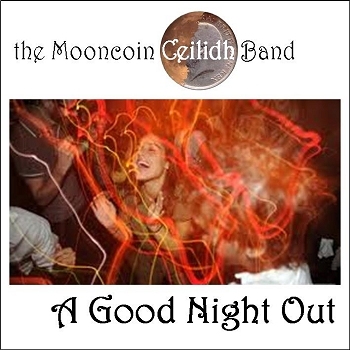 The Band...Mooncoin has been in existence since 1985. Originally founded by Barry, the band has featured various members over the years. We have several reserve members and the line-up may vary depending on who is available, however it usually consists of 4 players + caller. Barry - melodeon, concertina, harmonica, whistle, percussion- as well as band leader and booking co-ordinator. Barry's interest in folk music started when as a teenager he would travel to Barn Dances and Ceilidhs in the west country. At one such event he bought an old concertina, and he has been playing for dancing ever since. His melodeon or concertina playing provides the basic driving melody for the band, varying that on some numbers with harmonica, whistle & percussion. Barry's long experience and joyful enthusiam for country dancing has provided him with an excellent understanding of how to play music for it. His wryly humorous introductions to some of the tunes and dances are also an integral part of the Mooncoin experience ! Emerald - caller. Emerald is our congenial and lively caller, expert at encouraging people to dance and teaching them the steps and moves. She started ballroom dancing at school, before joining a Morris Dance side and then moving on to ceilidh dancing and calling. Emerald uses a headset radio microphone, so if necessary she can get onto the dance floor and assist dancers in need of help, while calling the dance. Bill - guitar, vocals. Bill Nelis complements the band well with his bilingual bar-room ballad singing between the dances, sometimes laced with spontaneously humourous lyrics- as well as his subtle rock-solid rhythmic guitar playing in the dance tunes. Chris - Fiddle, whistle, low D whistle, saxophone (+ occasionally bouzouki, electric Mandocaster, Celtic harp). Steeped in Celtic music, and with 30 years as a professional musician and 22 albums behind him, Chris provides a rich mixture of lead melodies and harmonic counterparts on his instruments, which can range from magical slow airs to fast intricate Irish reels and foot-stomping Appalachian fiddle tunes. (Note: Please ask on booking if you require the Celtic harp). Graeme - mandolin, tenor banjo, stomp box, (+occasional octave mandola & bowed psaltery). Graham's melodic mandolin and banjo lead playing blends well with the other melody instruments in the band; on other numbers he provides a strong, driving mandolin or banjo chord rhythm- as well as rhythmic foot-percussion on stomp-box. If you are interested in booking us, you can email us for a free demo CD of 9 TRACKS so you can hear what we sound like.